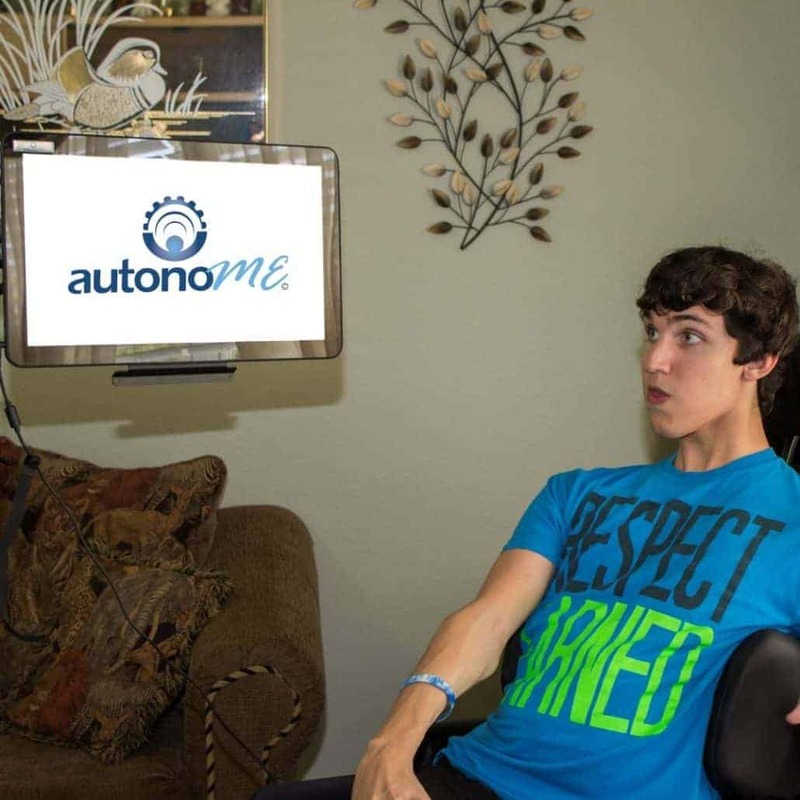 The autonoME is an augmentative and assistive communications (AAC) device, allowing the user to effectively communicate. Many quadriplegics who are teachers and/or instructors have learned how to adapt to their trade using assistive technology. Retail establishments, municipal office buildings and model home centers are just a few of the many establishments that hire friendly faces to greet their customers. Former Orlando, Florida action reporter Ellen MacFarlane was struck with Multiple Sclerosis (MS) in the prime of her life. Although she had a progressive form of the disease, she did not let it stop her from writing books about her life and illness. In fact, MacFarlane, who lost all movement from the neck down, wrote the majority of her books with the help of an early assistive technology device. Today, the autonoME offers writers the ability to compose books, blogs, short stories, scripts and anything else they choose to write. Actor Christopher Reeve is one of the most well-known quadriplegics who used his story to motivate others. However, you don’t have to be as famous as Christopher Reeve to make an impact. Companies, organizations, and associations are always looking for interesting and motivating stories. These types of gigs allow you to travel, meet people and have fun…all while getting paid. There is a whole world of exciting opportunities available for quadriplegics. You may remember Manny Galan, the young man who plans to use his autonoME to attend college and eventually become a nuclear engineer. He has a bright future ahead of him! Contact us today to find out how we can customize the autonoME to help you meet your career goals and objectives.